On January 16th, Google released an official statement on their Google Cloud Blog, explaining that after 10 years of having the same price, on the 2nd of April of this year they would increase for the first time ever G Suite costs. The rise of fares on their licenses for the productivity suite, which includes tools like Drive, Google Docs, Gmail, Hangouts Meet and other apps, will increase by 20% to $6 per user per month, up from $5 ( and by 44% from $50 to $72 for annual plan) for their G Suite Basic Edition, while G Suite Business Edition will increase to $12 per user per month, up from $10. Why would would they raise their prices now? 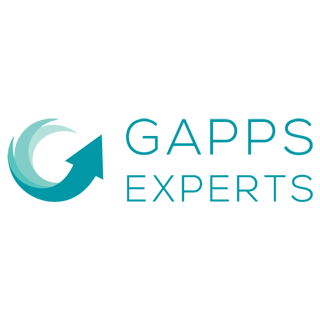 All of this by also infusing their products with advanced artificial intelligence to make it easier to respond to emails, gather insights from data and protect against phishing attacks before they happen! Rumor also says that the change of price could be due to the change of leadership in Google since Thomas Kurian officially took over as Google Cloud CEO at the beginning of 2019, replacing Diane Greene. Will Google's G Suite price increase drive more businesses to Office 365? While $1 or $2 USD doesn’t seem that much of a dramatic difference, this might affect some small businesses and big enterprises that have several licenses under their G Suite domain. However, even at $12/user/month, G Suite is still much less expensive than Microsoft's popular Office 365 E3 plan for larger businesses, which costs $20/user/month. The pricing moves are still in line with Office 365, and the apps + storage from G Suite seem to be superior by far from their competitor. Furthermore, G Suite prices are easier to follow and understand. Microsoft's Office 365 Business Essentials is $5 per user a month(yearly) and $8.25 (monthly). Office 365 Business Premium costs $12.50 (monthly) with same terms and E5 is $20. Additionally Microsoft has raised prices on standalone Office to their customers to move to the cloud. While Google was already on the cloud and didn’t raise the prices before. Not to mention that since Google has the leading position against its cloud competitors it might be setting the tone for other to follow through as well. 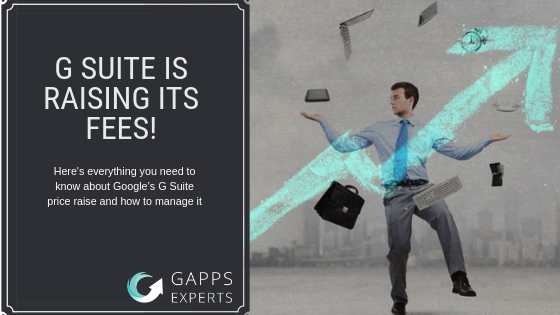 Your G Suite reseller can maintain the current pricing for one more year under certain conditions. So if you are buying your G Suite licenses through a Google partner, contact them to know what is possible ! If you don’t have one yet, contact us ASAP since we can help you to keep the current pricing price for one more year!